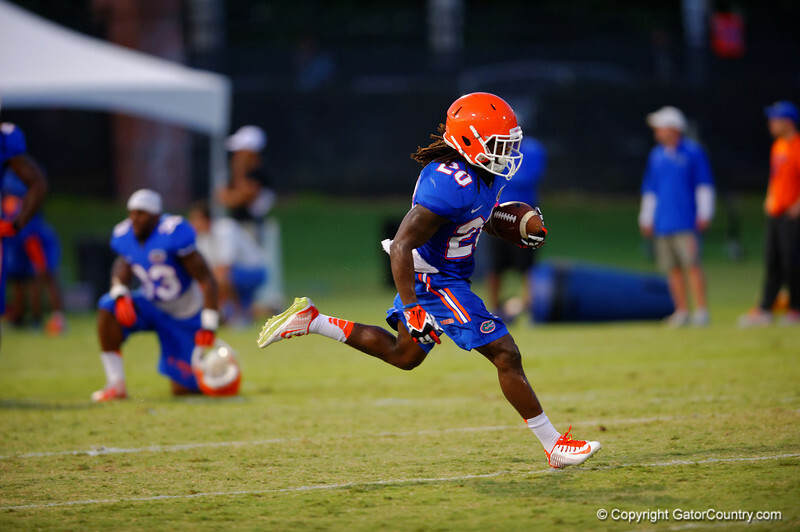 Florida Gator RB Brandon Powell sprints downfield during a practice drill. August 7th, 2014. Gator Country photo by David Bowie.